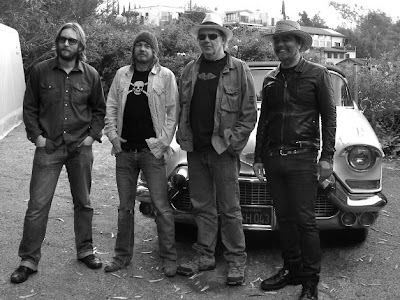 An interesting track by track breakdown of Neil Young's album Le Noise by Daniel Lanois. Among other gems, we learn the genesis of the album name and that Neil texts?! “Every song has a message in it. It has power, it has significance, and i felt like i was entering the arena as I did when I was a kid… and I thought, ‘This is the man I want to work with right now,’” says Daniel Lanois, the producer of Neil Young‘s latest record, Le Noise. - Thrasher's Wheat Meta-Review: Neil Young's "Le Noise"
Um, just an `off-topic` note - raise a glass or two to John Lennon today as he would have been celebrating his 70th. Ah yes. Makes me remember Neil singing "Imagine" at the 9/11 benefit. What a perfect song. Thank Jill, I am already at my third glass... wish he was still among us... he was the king! Neil... ya gotta play it live on the next 'twisted road' gig in respect!c'mon!.you loved the guy!! whoa..my appreciation of the man and what he wanted to achieve with Neil on this album has just gone up 10 fold!! you've got to admire the dedication Lanois had to this project..i think sonics is here to stay..not on every record that Neil does in the future..but like lanois says..it has given Neil the imputus to explore new sound..just like an excited kid or a person that has regained their hearing after years in inaudible wildnerness..Neil loves change..Neil loves spontaneity..this marriage of sonics and Neil..I feel will be for ever present..as Neil continues to write rockn roll history. Long may strum Neil..long may you strum!! The only sonics that Neil ever needed is 'Old Black' and a Fender Tweed turned up to 11. In the meantime, still looking forward to what Daniel Lanois can do with Neil and a band ... Crazy Horse? BigChief - A tweed Deluxe's two volume and one tone knobs go to 12. God, Lanois is full of himself.